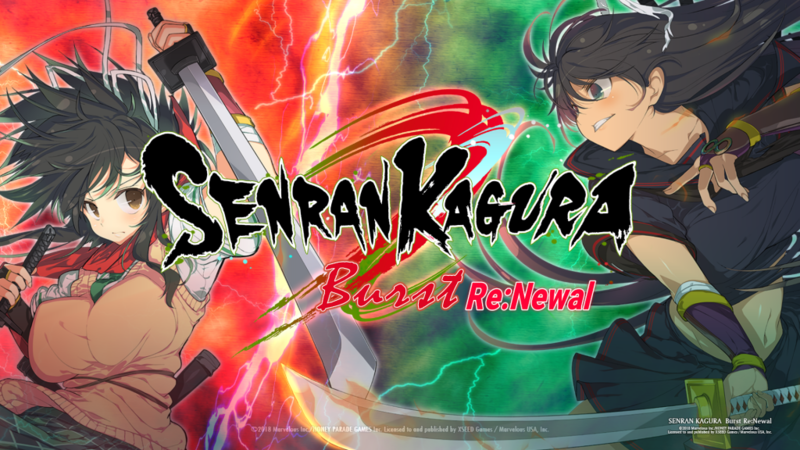 Almost a year after its Japanese release on PS4, Senran Kagura Burst Re:Newal arrives in the West on not just PS4 but also Windows PC from XSEED and Marvelous Europe. Having only gotten into the franchise properly and put a good amount of time into Estival Versus before looking back at earlier games, Burst Re:Newal has been an interesting experience. It is a remake of the 3DS Burst game but built using Estival Versus as a base and this has resulted in something that gets a lot right but also falters in a few key areas. 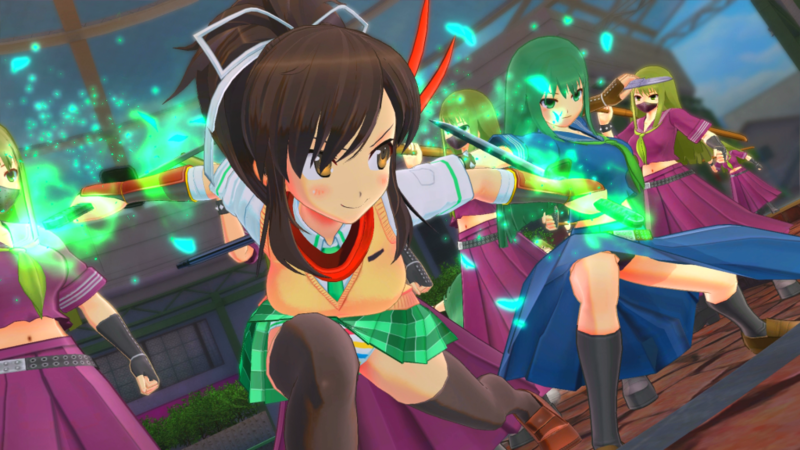 Senran Kagura Burst was a Nintendo 3DS exclusive 2.5D brawler. I quite liked the way it played so was hoping to see that brought over to modern systems but Honey Parade Games decided to use Estival Versus as a base for this remake. Burst’s story arrives on PS4 in 3D with battle enhancements to Estival Versus hack and slash combat. I get asked about the best game to get into a franchise with and while most people got in through the Versus games or even Peach Beach Splash, I now have something I can recommend as a nice gateway into the franchise – albeit one that has some annoyances for old and new players. As a remake of the original, you can play through two story arcs here that are split up into missions totalling at about 80. These missions usually see you tearing through grunts before ending up in an area to face off against a boss character. While the structure is pretty straightforward, the combat will make or break the game for you. It plays like a Musou game but more intimate, with combat that feels better and with fewer enemies so it feels more varied. Combat keeps improving as you unlock more abilities and learn when to parry or when to go ham on a small group of enemies near you. It is pretty simple overall but feels great even after dozens of missions. If you need a break from hacking and slashing through enemies, you can use your hard earned in-game currency to unlock music tracks, movies, or cosmetics for the girls. 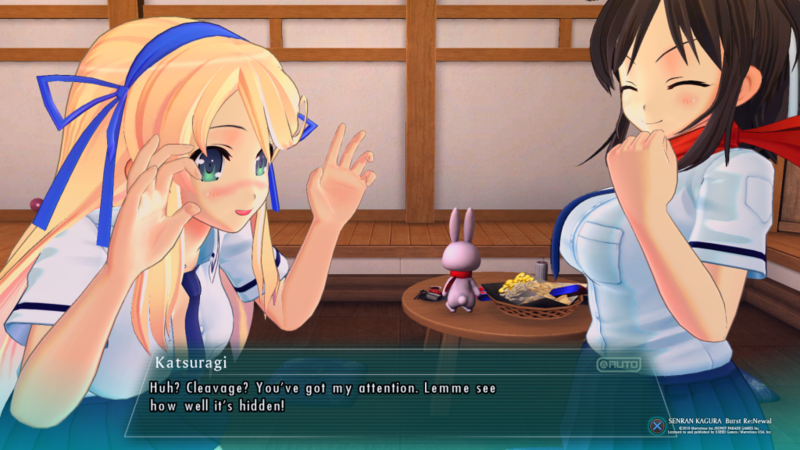 The Senran games have loads of customisation right from the get-go for outfits and accessories. Sadly this release has no online modes at all. I was hoping since this was based on Estival Versus, we would see some form of online but that isn’t available here at all. This is obviously a huge step up over the 3DS entry when it comes to visuals and performance on the PS4 Pro but I’m still pleased with how good it looks and how well it runs. The animations and effects for skills are slick. Voice acting is just like it is in the other recent Senran Kagura games which is very well done. If you played Shinovi Versus or Estival Versus and got bored of the style and combat, this game is most definitely not for you. This might also feel too familiar to you if you recently played the latter since it uses quite a lot from that game. One thing to note is that the PS4 version of Burst Re:Newal lacks the intimacy mode that was present in the Japanese release and in previous Senran Kagura localised releases. This mode will be present in the Steam version. I’m interested to see what the next proper Senran Kagura game from Honey Parade Games ends up being. After Peach Beach Splash, we’ve only really had spin-offs and a remake. The next release in English will no doubt be Peach Ball on Switch. 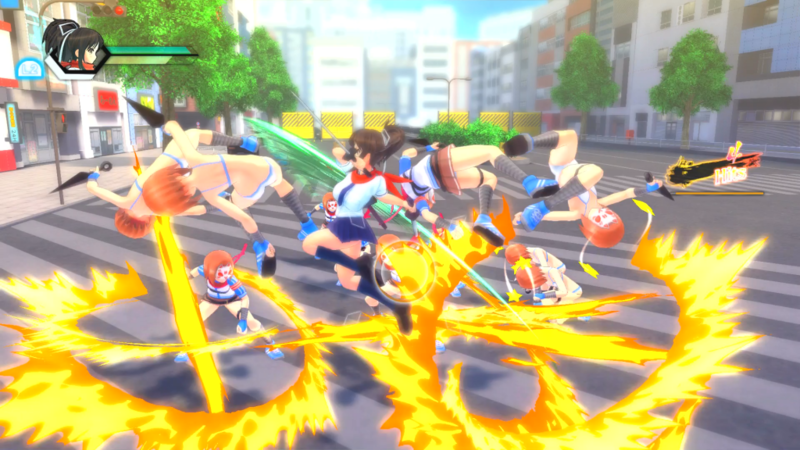 The Versus style Senran games definitely need to stop, or need a proper overhaul to remain fresh going forward. If you played Yakuza 0 and then played Kiwami, Burst Re:Newal feels like Kiwami in a lot of ways compared to Estival, which was like 0 in terms of content. It isn’t as good as Estival Versus even though it has a few enhancements over that. It has less content but is still worth playing for fans of the franchise. I feel like this is a great game for fans who got into the franchise through the Versus games to experience the origins of the series. Fans who played the original on 3DS will also find a lot to like here, assuming they enjoy this style of combat.